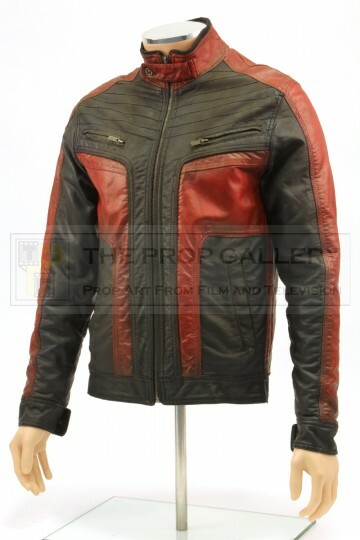 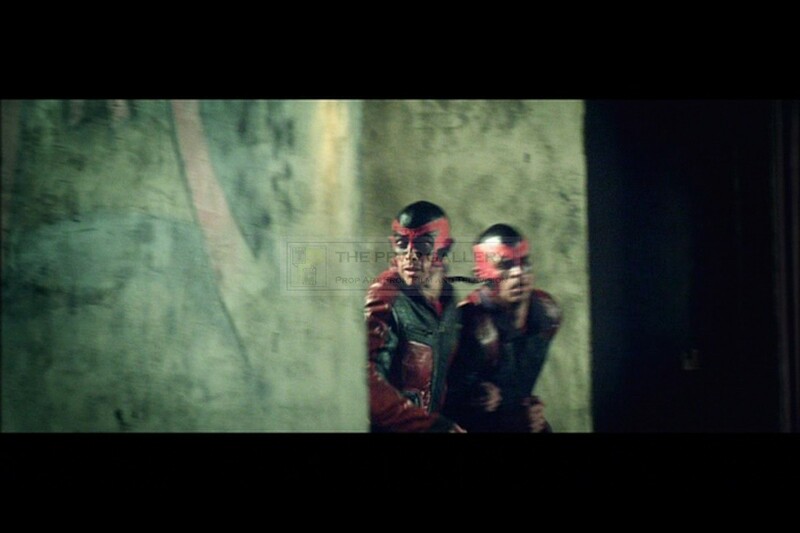 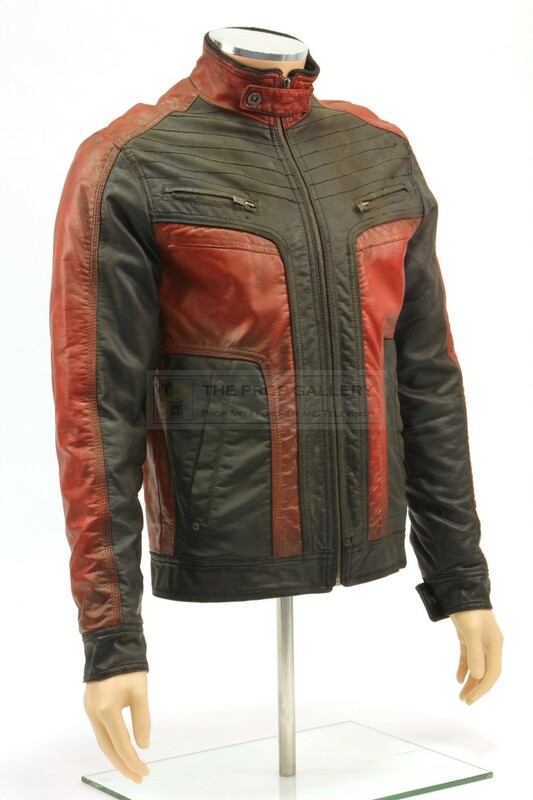 An original costume used in the production of Dredd, the 2012 science fiction action picture starring Karl Urban. 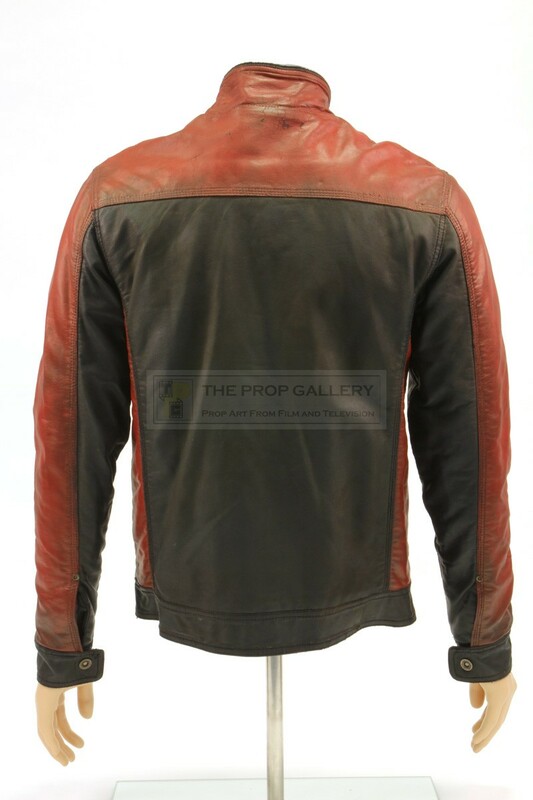 This jacket was obtained and modified by the production for use by a member of The Judged, one of the rival gangs wiped out by Ma-Ma (Lena Headey) and her clan in the takeover of the Peach Trees block. 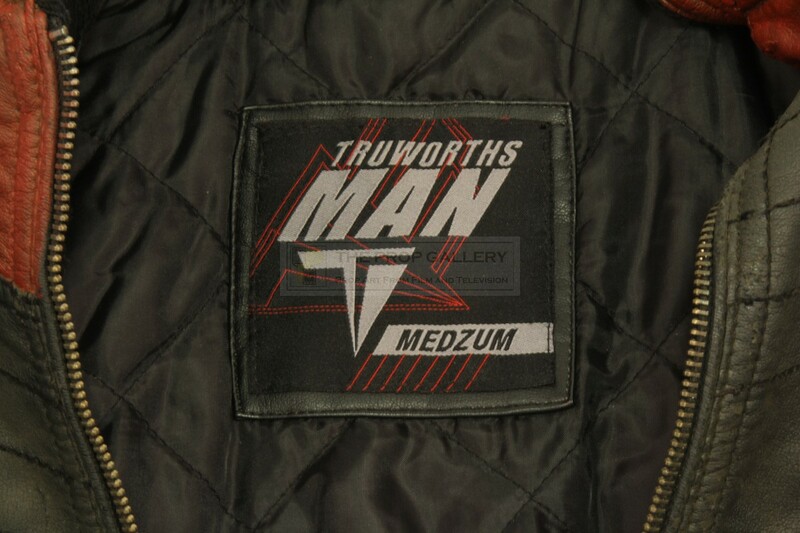 The Truworths branded leather biker jacket features a zip up front with various pockets, intended to symbolise the uniform worn by a law enforcing Judge the jacket has been intentionally distressed by the production with various sections painted to include the red colours of the gang. The jacket is sized medium and remains in excellent production used condition with minor intentional distressing, generally fine. 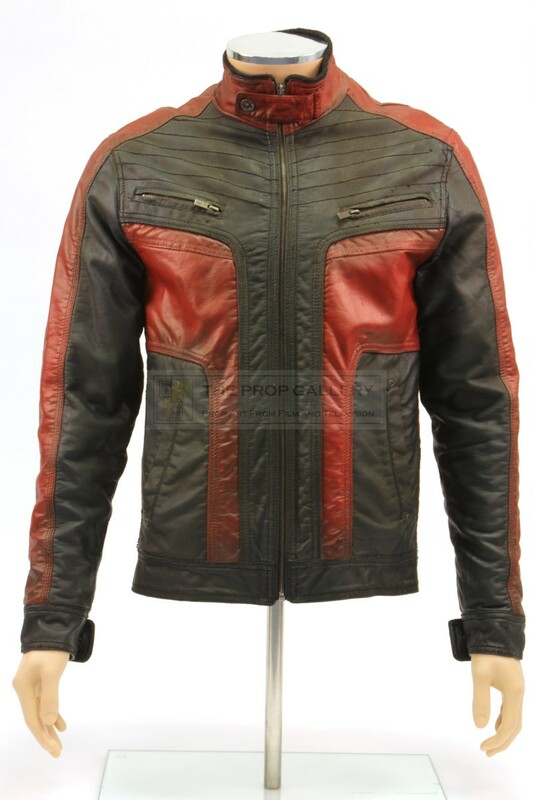 An excellent example of original wardrobe from this well received picture.